Whether it’s a phone call, text or Outlook calendar invite to set up a meeting for an “ask,” an e-blast appeal for donations, a “Give Now” button on a website or a Facebook birthday fundraiser (“Instead of buying me presents, donate to…”), the information age has given us lots of options that make fundraising and giving easy — and fun. 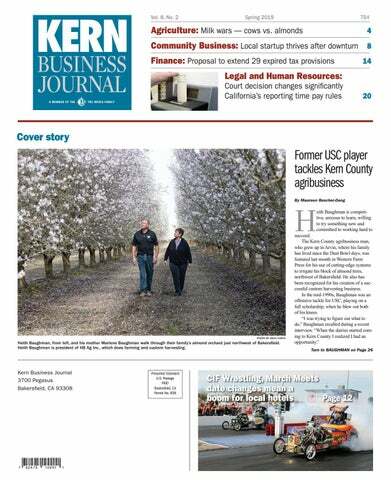 Give Big Kern, our county’s big day of giving that took place May 1 is yet another highly visible example of the wedding of technology and philanthropy. • 52,000 volunteer hours pledged by community volunteers (3.5 times as many as in 2017). The third annual “one day to celebrate the giving spirit of Kern County” exploded as it did thanks in great part to the effective application of communication technology, including responsive web design and the use of multimedia and social media to appeal to donors. The responsive www.givebigkern.org platform, developed by technology partner GiveGab, which assists more than 70 communities across the country with their giving days, allows donors to give conveniently from their desktop, laptop, smartphone or tablet. According to Ithaca, New York-based Project Coordinator Laryssa Hebert, approximately two-thirds of Give Big Kern 2018 donors gave from a mobile device or tablet and one-third gave from a computer. The platform is easy to use for fundraising agencies as well. Hebert said one of GiveGab’s strengths is the coupling of a constant feedback loop from giving day platform users and thoughtful development from GiveGab’s engineering team. Combined with support from Kern Community Foundation, the Give Big Kern experience becomes an exercise in nonprofit strengthening whereby time-and-resource-strapped local charities learn to fundraise the 21st century way: online. Indeed, trainings and online tools provided by GiveGab and Kern Community Foundation through live workshops, webinars, prerecorded videos, prepackaged templates or downloadable aids and graphics helped participating nonprofits set up eye-popping profile pages with videos, photos and suggested donation levels that moved donors to give to them. Donations were electronically transferred to nonprofits’ checking accounts within 24 to 48 hours of being made online. And the events page timeline on givebigkern.org became a quick-reference tool that encouraged agencies to increase their visibility by just showing up to events or participating in promotions arranged by Kern Community Foundation. Givebigkern.org also features the Tagboard app, which bucketizes social media posts using the hashtag #givebigkern. A visit to the home page reveals how creative and prolific local nonprofits were in their use of social media (Facebook/Instagram/Twitter/YouTube) to promote their respective Give Big Kern campaigns, from making appeals to donors and volunteers to publicizing special Give Big Kern-themed events to highlighting client testimonials to, once Giving Day was over, thanking their donors profusely for their support. So, what’s next for Give Big Kern? This summer, Kern Community Foundation plans to participate in GiveGab’s Giving Day Leaders Forum, a two-day gathering of giving day organizers from across the country. “The Leaders Forum provides partners the opportunity to connect with others who do what they do, while acting as the voices of their local nonprofits,” Hebert said. Kern translation: Local participating nonprofits and donors can look forward to an even more fun, user-friendly and engaging Give Big Kern experience in 2019. Louis Medina is the manager of community impact at Kern Community Foundation.